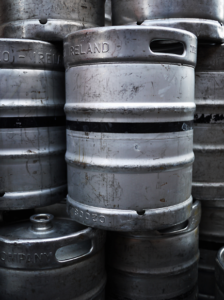 DePauw University intends to ban hard alcohol from registered parties and allow kegs instead for the first time in years. The decision was made as part of an initiative called the Collaborative. Made of faculty, administrators, students and alumni, the Collaborative works to solve problems surrounding high-risk drinking behaviors on campus. According to President Mark McCoy, in 2014 Indiana colleges reported 37 percent of student populations binge drank, defined as five or more drinks per sitting. President McCoy said this number has since fallen to 28.9 percent. However, DePauw reports 64 percent of students binge drank in 2014. The number is now reported to have risen to 65 percent. The Collaborative started last fall in order to make DePauw a more healthy community. 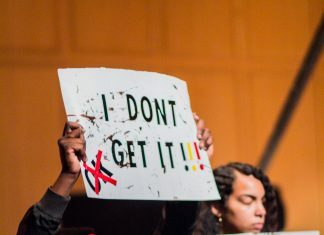 Last fall, they proposed 10 initiatives for DePauw to implement, based on data from CollegeAim, a national matrix ranking effectiveness of certain campus initiatives. The collaborative decided on 10 initiatives to work on, the kegs being one of these initiatives. The others include more training on how to intervene in situations where dangerous consumption occurs, changes within tailgating, continuing to use breathalyzers on students, health care screening, enforcing the 21 drinking age, more morning classes, and more individual feedback with students. “Sometimes what doesn’t work for dealing with alcohol is focusing just on one thing. So we are trying a lot of those things; some may work and some may not,” Sutherlin said. The collaborative will be choosing eight more initiatives for the University to work on this year. This rule will also apply to registered parties in University Owned Housing (UOH), which includes all the houses and apartments for upperclassmen, excluding Rector Village. Rector Village is excluded because it is built similarly to a residential hall, but the administration is considering including Rector Village in the future.